Cats on the Low End of the Rescue Pole? Are cats feeling the burden of the pet overpopulation problems across the country? Looking at animal rescue statistics nationwide this would be the conclusion, as typically there are far greater numbers of homeless cats than dogs (or any other pet). This fact is becoming an increasing concern as the gap also appears to be expanding. Here at Second Chance Humane Society for example, I am one of 50 cats at the Shelter seeking a new home while there are only 12 dogs in need. These disparate figures are creating a sense that cats are not valued as highly as dogs. 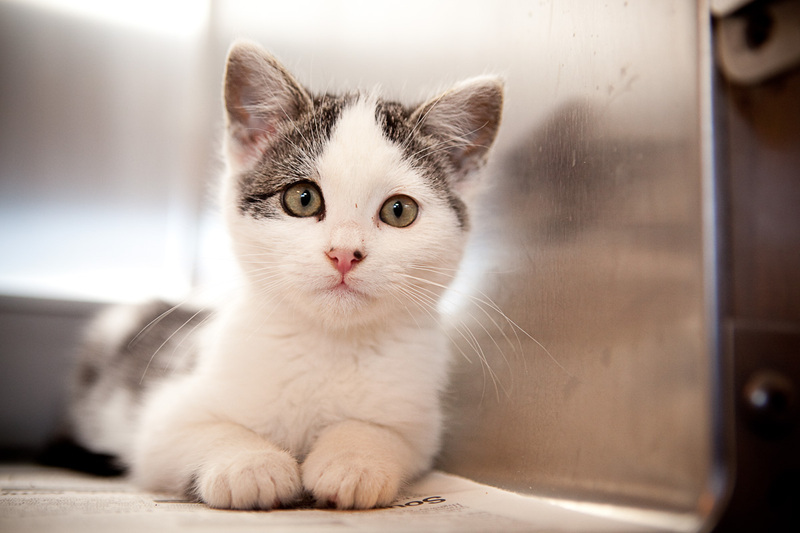 For example, at the third largest shelter in the country, Santa Clara County, California, 36% of the animals handled are dogs, vs. 64% cats while euthanasia totals are 80% cats and 20% dogs. Additionally, the American Humane Association estimates that nearly three-quarters of cats who enter shelters are euthanized. My name is Pine Nut and I ask you to join me as I attempt to resolve this dilemma so that my species does not become further neglected or discarded (other indicators: despite there being 93,6 million cats compared to 77.5 million dogs living in U.S. homes, fewer cats receive veterinary care and less health research is conducted on our behalf). Research that does offer insight on this issue was completed by the Morris Animal Foundation, a nonprofit that funds research studies to advance animal health and welfare. They surveyed 1,102 non-cat owners about their perceptions of cats to gain insight into what may be preventing them from providing homes to cats in need. The rest of this Pet Column will review the results of the survey while next week’s column will discuss the implications. The participants in the survey did not currently own cats, had never previously owned one, and had never previously considered owning one. Not surprisingly, more than half of the respondents had an overall negative attitude about felines, expressing concerns about furniture scratching, hairball coughing, and counter jumping. Other common concerns included the litter box smell, unprovoked biting, and a perception that cats can’t get along with other pets. Nearly one-third of respondents said someone in the household was allergic to cats. On the upswing, about 20 percent of respondents said they might consider a feline pet. What they liked best about cats was that we are playful, can entertain ourselves, and make people smile. These respondents indicated that they would most likely adopt a cat from a shelter or rescue group (Me! Me!). The survey surprisingly found that 18-to-24- year-olds had a more positive attitude toward cats than older respondents. Singles, suburbanites, Hispanics, and men also responded more positively when compared to married participants, urban and rural residents, other ethnicities, and women, respectively— but according to the Morris Animal Foundation, very little marketing is being done to these groups. Until next week when I look further into these results, I invite you to come to the Second Chance Shelter to meet me and my other feline siblings and friends, where you can learn more about how every home could be graced with a loving purr machine. Call the Second Chance Helpline at 626-2273 to report a lost pet, learn about adopting a homeless pet, or about the SCHS Spay/Neuter Financial Assistance, Volunteer & Foster Care, or other Programs. Visit our shelter pets online: www.secondchancehumanesociety.org. Direct Pet Column questions to: kelly@secondchancehumanesociety.org. Photo by Real Life Photographs.